For details on these and other Classical Music Club Toronto programmes, please scroll or skip down. The Classical Music Club of Toronto is a music appreciation society founded by gay music lovers but is open to everyone. The Club meets to hear and discuss recorded classical music. Each programme is lead by a presenter, who has selected the topic and arranged the programme. The contents of the programme are entirely up to the presenter to choose and to organise. Programmes run approximately three hours. There is a program about every three to five weeks. Typically in the winter the programmes are Sunday afternoon, and in the summer Saturday evening. However, the exact times of the programmes can vary - read the calendar carefully! The Classical Music Club Toronto invites music lovers to come to a presentation or two, and give us a try. If you join, membership fees are a modest $25/yr, just $10/yr for seniors and students, and are due each September. The calendar listings include all the basic programme information (date, time and subject) and in addition each presenter provides a brief summary of what the programme is to be about. There may be additional information such as links to another web page with a biography or background material about the works being presented. Where you see [Discography] as a link, the presenter has provided details on the exact performers and recording references. This is usually available within a week of the programme having been given. Only upcoming programmes are listed on the main page, so you will need to locate the programme in the full-season calendars. You will find the links to the current and past seasons listed after the list of upcoming programmes. For your convenience, the Classical Music Club Toronto has assembled links to music-related sites and gay music-related sites . Originally, the program scheduled for today was to be a survey of the pianistic viruosity of Murray Perahia presented in conjunction with his appearance in Toronto on May 1. Unfortunately, Mr. Perahia had to cancel his appearance and the Royal Conservatory of Music has scheduled Peter Serkin for that date. Hopefully, Mr. Perahia will be able to return to Toronto at a future date. Meanwhile, the Club now has an opportunity to enjoy the work of an equally virtuosic American. 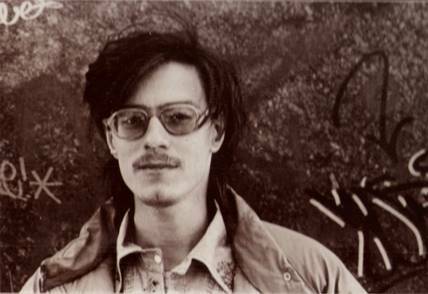 Although Peter Serkin was born as an heir of the European tradition being the son of the great pianist Rudolf Serkin and the grandson of influential violinist Adolph Busch, he grew up to become an Amercian hippie wandering in Tibet. Peter began studying at the age of 11 at the Curtis Institute of Music, and in the following year made his concert debut at the Marlboro Festival, but his interest turned to contemporary music as one of the founding members of the avant–garde group TASHI. 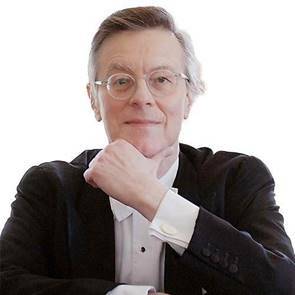 Perhaps a typical feature of New York–based classical musicians, as with Perahia, a deeply rooted sense of tradition and touches of contemporary sensitive twists magically live together in Peter Serkin”s performances. Let”s hear his brilliant jazz–like wit being sprinkled on top of the magnificent base of his solid sound structure. The Aldeburgh Connection Concert Society Celebrating the Art of Song, the society presents concerts featuring Canadian singers. Performances take place at Glen Gould Studio and Walter Hall. Canadian Opera Company Based in Toronto, the Canadian Opera Company (COC) is the largest producer of opera in Canada and one of the largest in North America. Under its General Director, the late Richard Bradshaw, the company enjoys an international reputation for artistic excellence and creative innovation. The COC presents seven fully staged operas each season. In addition, it presents operatic and orchestral concerts in venues throughout the city and collaborates with a number of arts organizations. In total, over 117,000 people attended COC mainstage performances, and the COC currently has over 16,000 subscribers. Four Seasons Centre for the Performing Arts Toronto's opera house opened in September 2006 to very positive reviews of the building and to the Canadian Opera Company's production of Wagner's Ring cycle. Glenn Gould Studio Glenn Gould Studio is one of Toronto's favourite venues for concert-goers, and home to CBC Radio's flagship live concert series OnStage. With only 340 seats, you'll be "closer than you've ever been" to great artists and events. Music Toronto Music TORONTO began in 1971 as the music programme of Toronto Arts Productions, presenting chamber music concerts and recitals at the Town Hall in the St. Lawrence Market precincts. The St. Lawrence Centre is located in downtown Toronto at the corner of Front and Scott Streets, one block east of Yonge. From the Subway and the Go train at Union Station, walk two blocks east on Front Street. Parking is available in the neighbourhood. New Music Concerts New Music Concerts was founded in 1971 by the internationally acclaimed Canadian musicians, flutist and composer Robert Aitken and composer Norma Beecroft, to promote interest in the art of music and contemporary music in particular. Ninety percent of our concerts are recorded for regular broadcast on Two New Hours on CBC Radio 2. Off Centre Music Salon. Intimacy in a modern concert hall is that possible? Curtains and orchestra pits is it necessary to have barriers between the performers and the audience? Do people hear the music or do they actually listen to it and moreover can they reply? Do the arts need to be separated? These are a sample of the questions that Boris Zarankin and Inna Perkis posed of themselves in establishing Off Centre Music Salon eight years ago. In search of a less commercial more intimate form of musical presentation, this duo in life and music revived the European Salon tradition. All concerts at the Glen Gould studio, Sundays at 2 pm. 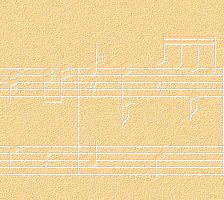 E-mail: enjoy@offcentremusic.com. Phone: 416-466-1870. Roy Thomson Hall & Massey HallMassey Hall and Roy Thomson Hall bring you the finest artists in classical music, jazz, pop, comedy, world music and dance - from Canada and around the world. The Roy Thomson Hall is located at the south-west corner of King and Simcoe Streets. Massey Hall, the Grand Old Lady of Shuter Street, lures superstars and audiences alike with her character, warmth and intimacy. Sinfonia Toronto describes itself as Toronto's Premier Chamber Orchestra. Music director is Nurhan Arman. All concerts at Grace Church on-the-Hill. Soundstreams Canada Canadian creation takes centre stage at Soundstreams Canada. Whether it's living-edge chamber music, multi-choral spectaculars, or rarely performed works of music theatre, our aim is to foster a living Canadian musical heritage. Artistic director: Lawrence Cherney. Tafelmusik Tafelmusik Baroque Orchestra, founded in 1979, is one of the world's leading period performance ensembles. Led by Music Director Jeanne Lamon, all members of the orchestra are specialists in historical performance practice, and their collaboration results in a delightful transparency, vitality and richness of sound. Tafelmusik performs 50 concerts a year at home in Toronto, tours extensively around the world, and has a discography of 60 award-winning CDs. Toronto Centre for the Arts The centre has three performance halls - The Main Stage Theatre, the Recital Hall and the Studio Theatre. The George Weston Recital Hall is widely recognized as Canada's best recital hall and one of the top music venues in the world. Located in Toronto (North York), just south of the North York subway station or a few blocks north of the Sheppard subway station. The Toronto Consort Since its founding in 1972, the Toronto Consort has become internationally recognized for its excellence in the performance of medieval, renaissance and early baroque music. Some of Canada’s leading early music specialists have come together to form the Toronto Consort whose members include both singers and instrumentalists (lute, recorder, guitar, flute, early keyboards and percussion). Toronto Mahler Society The mission of the society is to promote the music of Gustav Mahler in Toronto and Canada. If you are interested in Mahler's music and would like to join other Mahler lovers across Toronto and Canada, you have come to the right place. You don't have to know a lot about Mahler to join, we are here to educate and provide a forum for discussion and enjoyment of anything about Mahler. In addition to online discussion, we are planning to have meetings in Toronto to talk about Mahler's music, the man and his life, and other late-romantic to 20th century composers from Bruckner, Struass, Sibelius to Shostakovich. Toronto Mendelssohn Choir The Toronto Mendelssohn Choir is Canada's world-renowned large vocal ensemble. Founded in 1894 by Dr. Augustus S. Vogt as an extension of his Jarvis St. Baptist Church choir, the Choir presented its first concert in Massey Hall (as part of the hall's inaugural season) on January 15, 1895. The Choir's name was chosen to honour the composer Felix Mendelssohn Bartholdy who had died just a half-century before its founding. Toronto Symphony Orchestra A cultural institution better than three-quarters of a century in the making, the Toronto Symphony Orchestra is Canada's foremost symphonic ensemble. The Wholenote Magazine Most complete single source of concert listings for Toronto. WNED-FM Buffalo, NY Classical music 24 hours each day at FM 94.5MHz and also streaming on the web. Local programming includes BBC news and weather for Buffalo and Toronto. This station prides itself in having the fifth largest classical music library in the U.S., and that their programming is selected by the on-air personalities. Buffalo Gay Men’s Chorus The Buffalo Gay Men's Chorus is a membership association dedicated to producing vocal music of high quality in the rich tradition of men's choral singing. Counterpoint Community Orchestra Welcomes all experienced musicians who are gay, lesbian or gay positive to join our ranks.